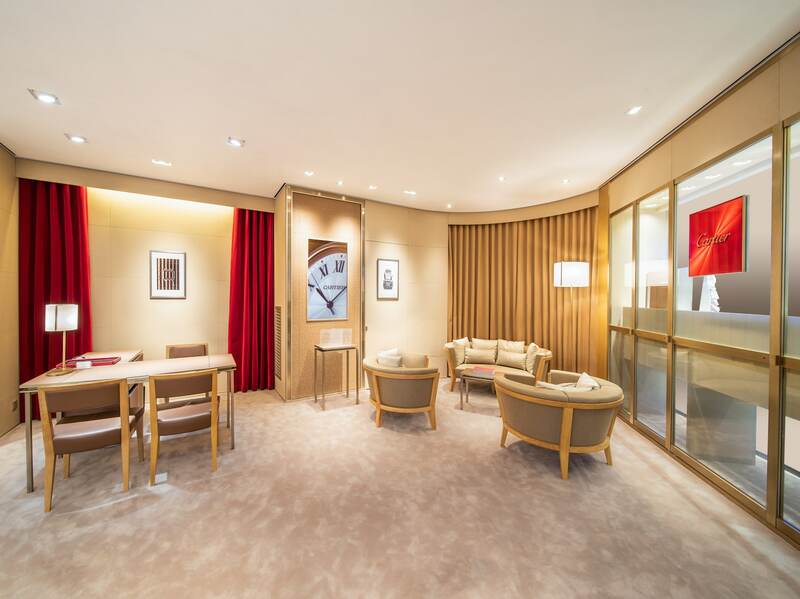 In partnership with Elegant Watch and Jewellery, one of Hong Kong's top luxury retailers, Cartier has reopened their new VIP salon space in Times Square. 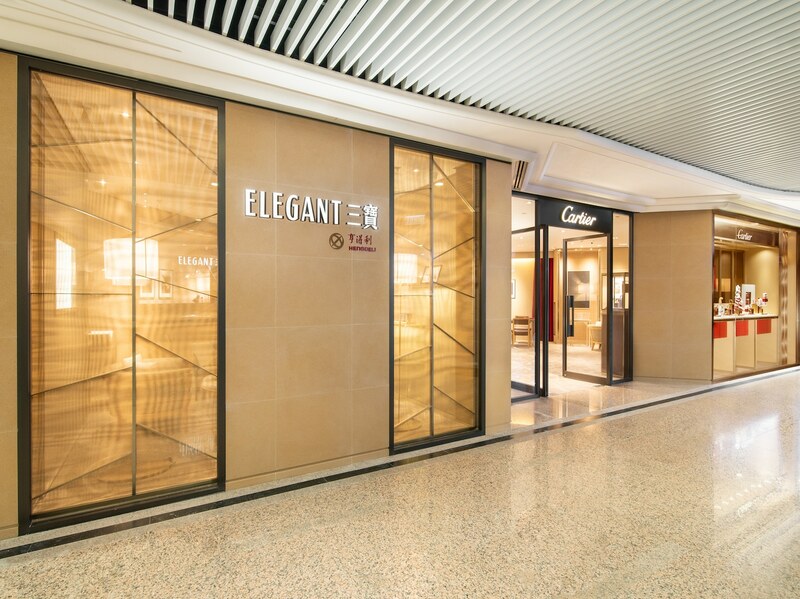 The rejuvenated store, conveniently located in Times Square, Causeway Bay, emphasises an airier, more lifestyle-driven shopping experience. 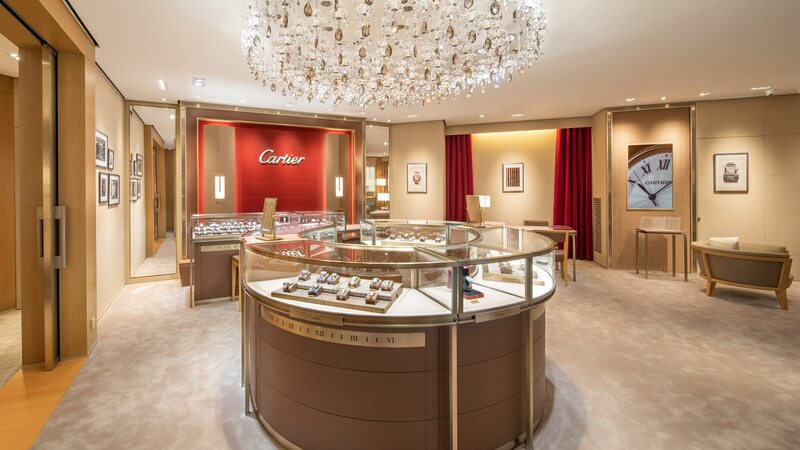 The new space is resplendent in the Cartier Maison's traditional livery of reds, taupes and golds. Happily, the launch of the new store coincides with two additions to the new jewellery watch collection: the Ballon Blanc and Ballon Bleu. We’ll discuss these releases in more depth below, but before that it’s a good opportunity to mention that until 31 December, customers will enjoy complimentary leather embossing on all jewellery watches purchased at the brand’s Times Square store. Naturally, that includes the aforementioned Ballon Bleu de Cartier pieces, which make for splendid and bedazzling Christmas gifts. What’s new to the Ballon Bleu de Cartier range in 2018? For those who are only cursorily familiar with Cartier’s heritage in shaped watchmaking, a short primer is in order. Although considered a relatively new style, the Ballon Bleu (first released in 2007) nonetheless illustrates Cartier’s avant-garde approach when it comes to watchmaking. It offers a twist, literal and otherwise, on classic horological design codes, most prominently in the way that it distorts the caseband thanks to the inclusion of an enclosed bubble-like winding crown. This free-spirited touch interacts with elements on the guilloché dial too: the contortions of the Roman numeral indices (particularly “II, III, IV”) and rail-track inviting comparisons with Salvador Dali’s The Persistence of Memory. 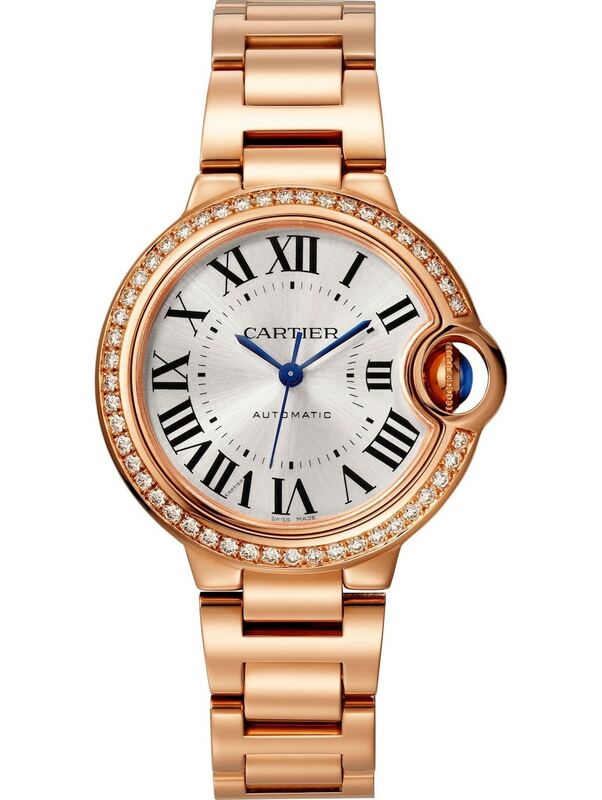 Pictured: the 33mm Ballon Bleu de Cartier in pink gold, featuring 47 brilliant-cut diamonds in the bezel. Pictured: the 36mm Ballon Bleu de Cartier in pink gold, featuring 54 brilliant-cut diamonds in the bezel. Previously available in steel and white gold, 2018 marks the first time that the Maison has produced the Ballon Bleu in pink gold. No matter whether you opt for a single or double diamond setting, on a a bracelet or alligator strap, every iteration of the Ballon Bleu is a work of art unto itself — channeling the boundless creativity and free-spiritedness that is characteristic of Cartier. Like its closely related sibling, the Ballon Bleu, the Ballon Blanc de Cartier offers a playful twist on iconic silhouettes in traditional Swiss watchmaking. Immediately recognisable due to its singular solitaire diamond setting (at the 4 o’clock position), the Ballon Blanc combines two equally distinctive traditions at Cartier — jewellery and haute horlogerie — for a watch with broad and enduring appeal. Like a beautiful, natural indentation nestled deep within the Earth’s firmament, the solitaire diamond integrates flawlessly with the case’s overall curvature. 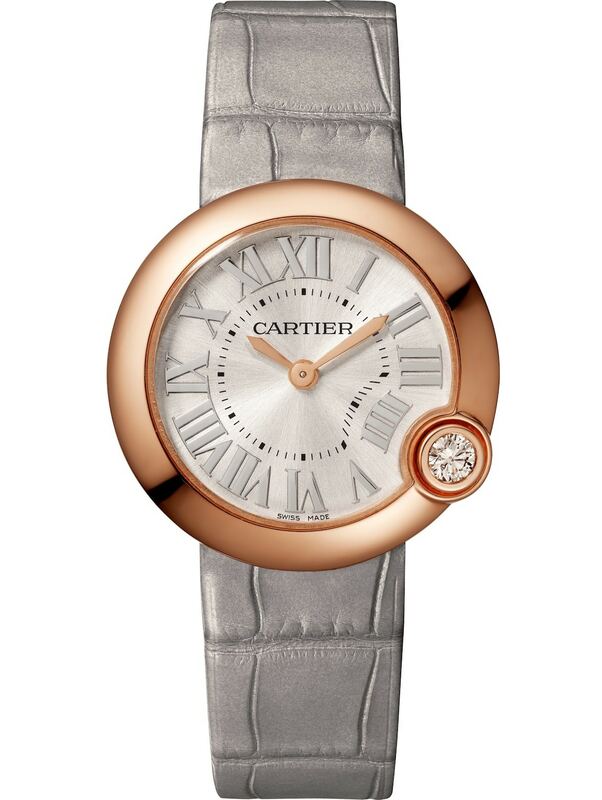 Pictured: the Ballon Blanc de Cartier, available in 26 and 30mm variants, in 18-carat pink gold. Pictured: the Ballon Blanc de Cartier, available in 26 and 30mm variants, in 18-carat pink gold set with brilliant-cut diamonds. Just in time for Christmas, Cartier Hong Kong are releasing two iterations of the Ballon Blanc, in a dress watch-ready 26mm and more everyday-friendly 30mm format. 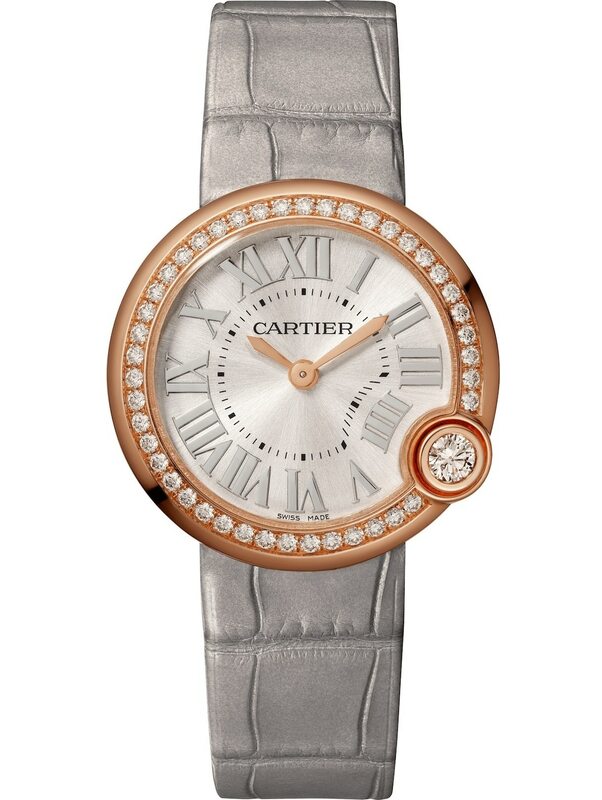 Available with smooth or paved bezels (the lettering featuring Cartier’s classic brilliant-cut diamonds), one of the watch’s more subtle unique signifiers is its choice of accessory. A matte-grey alligator strap picks up on the watch’s silvered sunburst dial, lending even more sparkle to a timepiece that is especially appropriate for the festive season. New arrivals to the new jewellery watch collection are now available in Hong Kong. 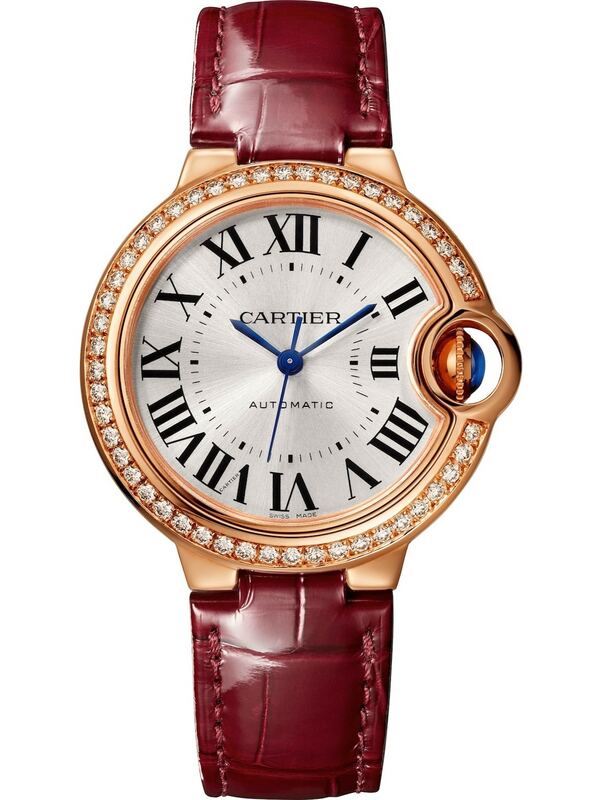 The Ballon Bleu de Cartier is priced between HK$141,000–$272,000. 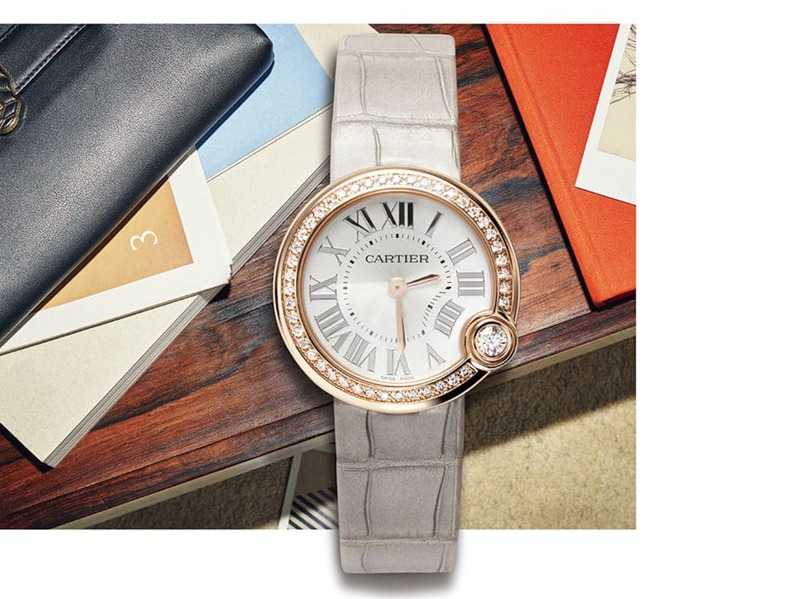 The Ballon Blanc de Cartier is priced between HK$64,000–$118,000. For more information, visit Elegant Watch & Jewellery online.